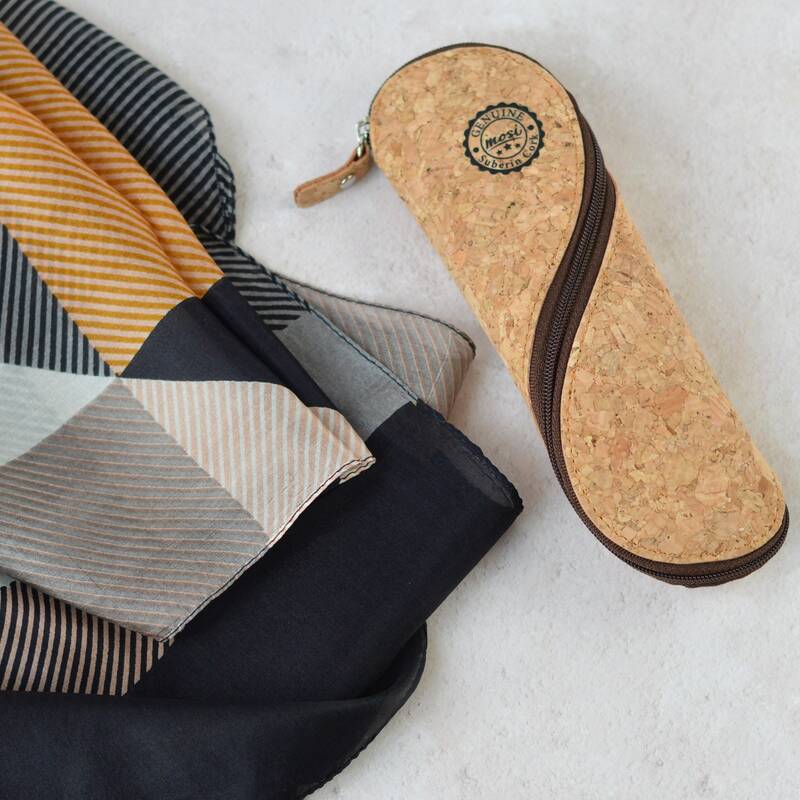 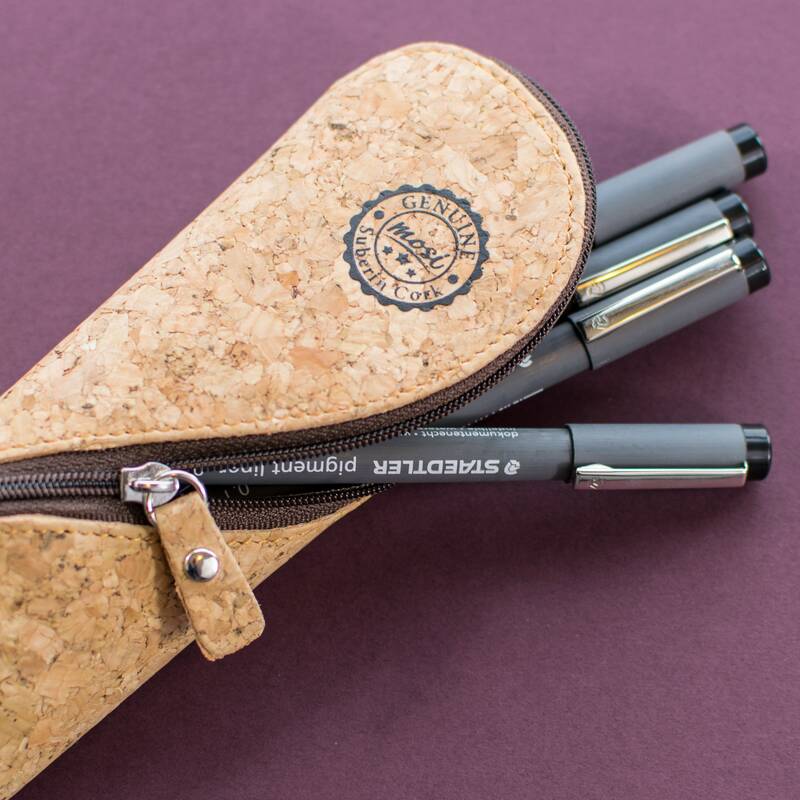 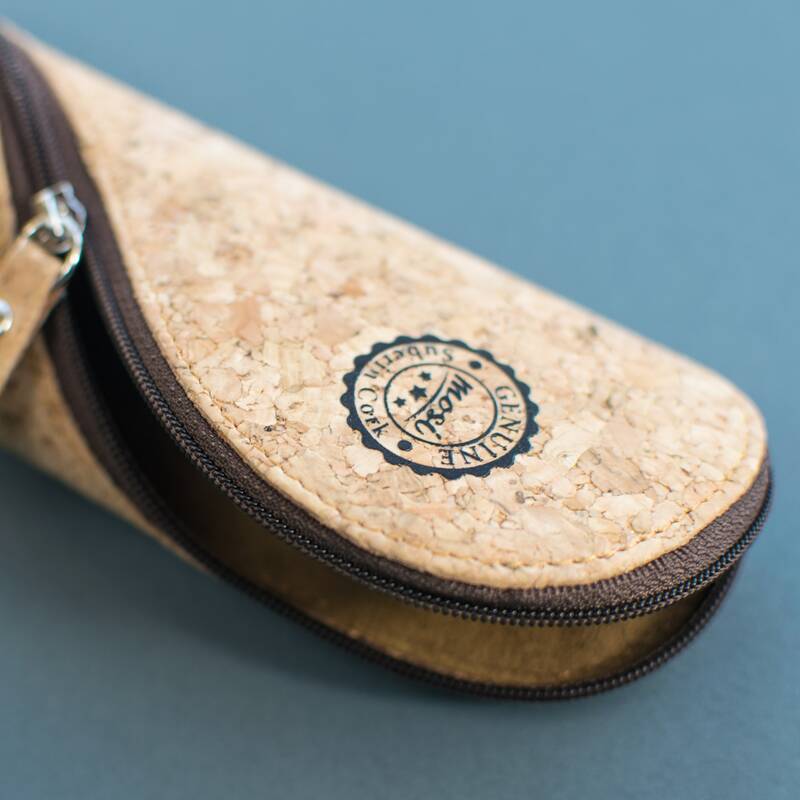 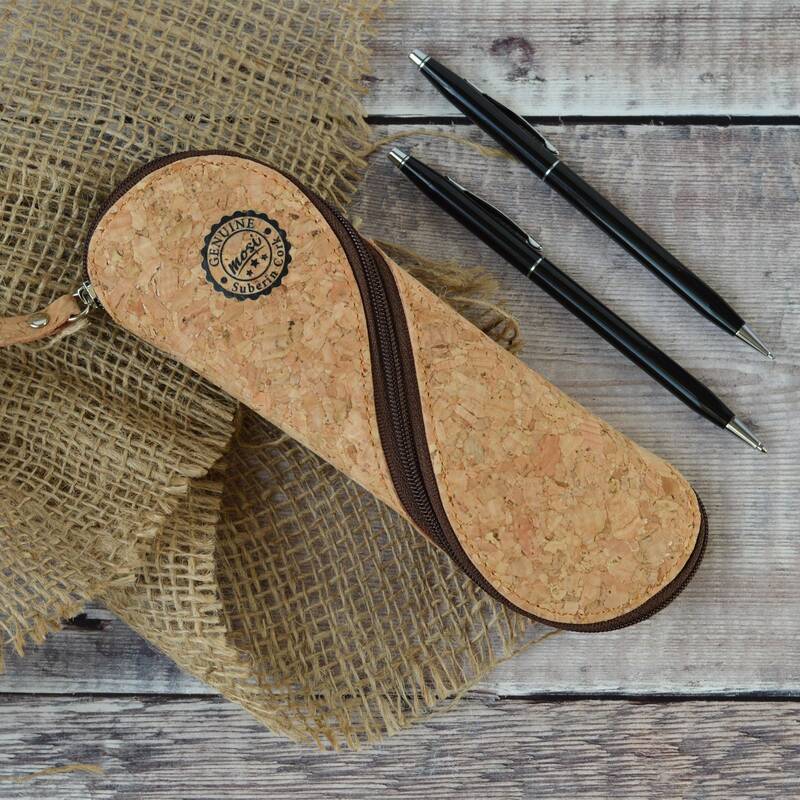 This slim pencil and glasses case is made from genuine & authentic 'Suberin Cork' from Portugal, a cork product from the highest quality cork bark which is durable and feels great in the hand. 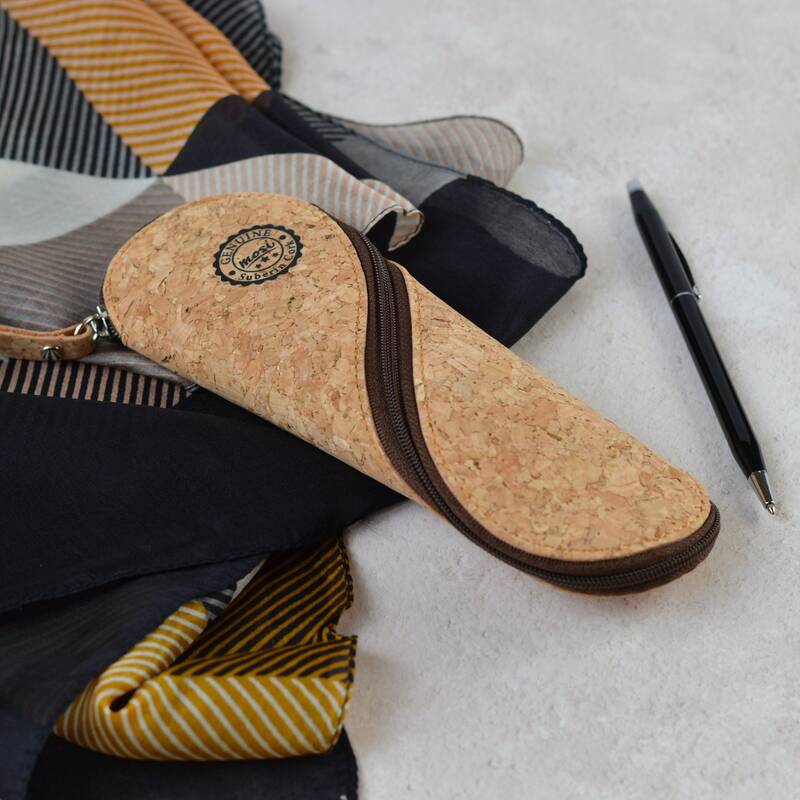 Cork is a natural product and each MOSI cork pencil and glasses case has subtly different patterning. 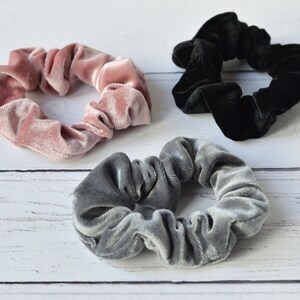 Yours will be unique. 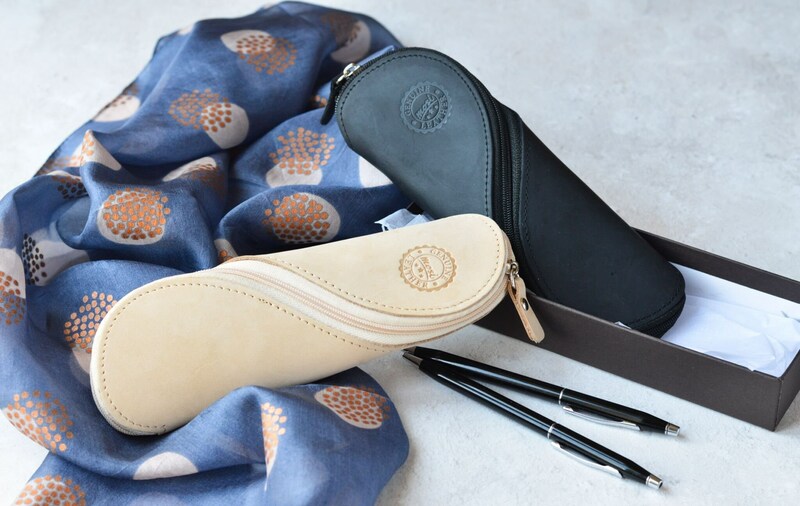 The pencil and glasses case measures (19x6x5 cm) (7x2.5x2 inches). 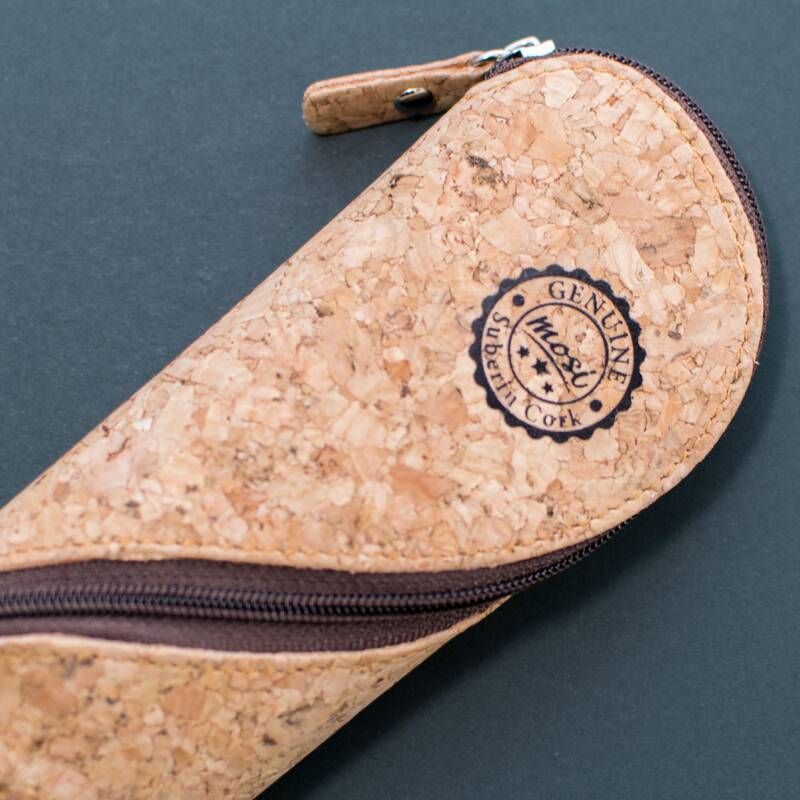 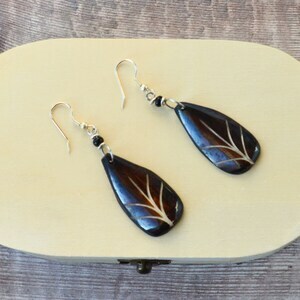 Cork is naturally water repellent, durable and soft to the touch. 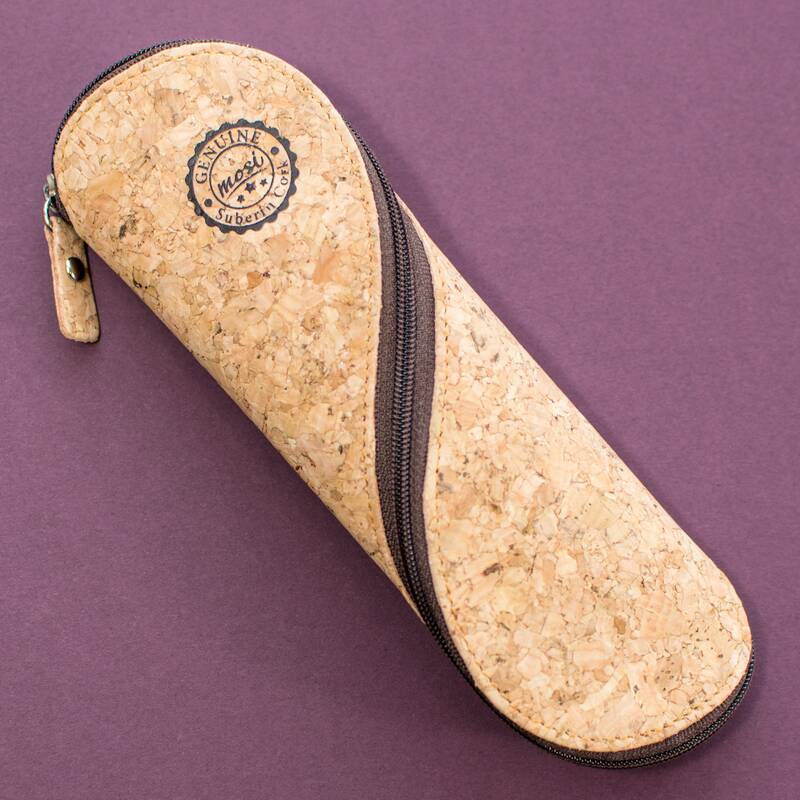 This vintage style cork case is suitable for stationery, slim to medium glasses, art supplies, makeup & cosmetics, small scissors and many other things you may need to protect. 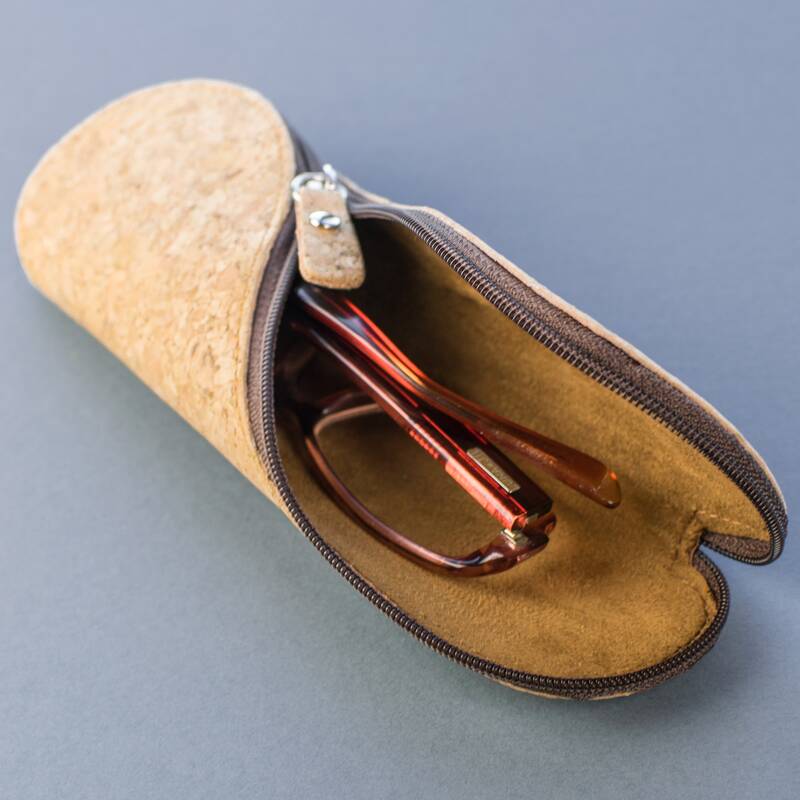 The unique 'S' shaped zipper design means that this leather pouch opens out to fold flat, so you can easily access what's inside and it doesn't collect dirt. 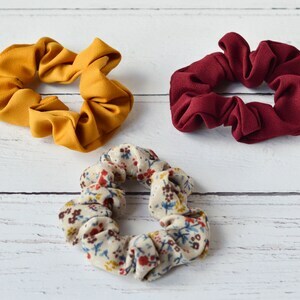 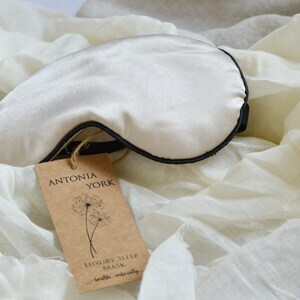 The inside material is a soft touch velvet lining and completes the high-quality handmade craftsmanship and aesthetic. 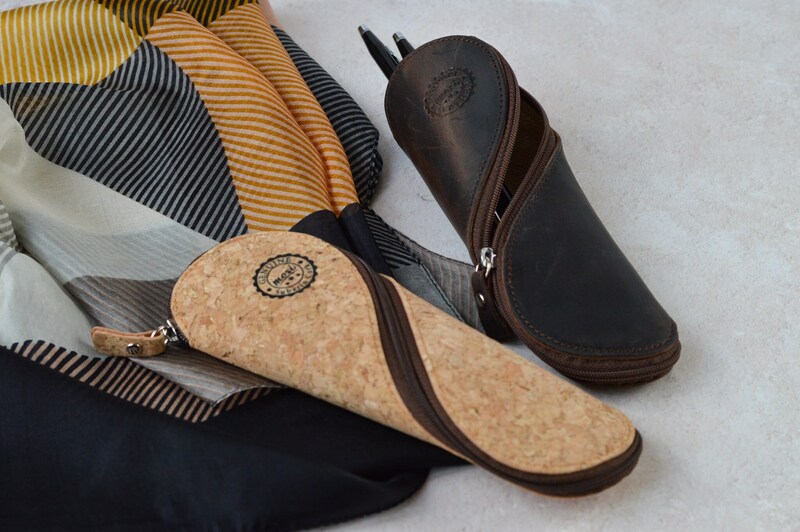 This unusual glasses and pencil case is ideal as a gift for men and women.